Larisa Yurievna Gumerov was born on March 31st, 1955, in Nizhnii Novgorod and she grew up on the Volga River. She comes from a family of medical doctors. Her father was a world famous professor of General Therapy and Endocrinology. Poetry, reading books, and music were the main things in her life from early childhood. She was engaged in high level sport and was a member of the Russian National Fencing Team. She traveled often across the country for competitions and training. After obtaining the highest medical education and a degree, she became a medical doctor. Larisa worked as a general practitioner, and served head of the Scientific Diagnostic Department of the Institute of Cardiology in Tyumen. She was fascinated in Immunology and she dreamed to dedicate her life to this Science. However, in 1993 due to family circumstances, she came to America and turned completely to Russian Literature, which she loved from her childhood. Alexander Pushkin was always her favorite poet. She considers all Russian writers humanists, especially Anastasia Tsvetaeva. These writers were her mentors in creative arts. She befriended Anastasia Tsvetaeva during the last years of her life. Larisa has publications in Russia and the USA. She is an author of script and poems for the film "Messenger" about Jose Cortes, released by WMNB television in New York. She also wrote and published a book about Jose Cortes. “The Chosen One of the Iveron Theotokos". 2000. Currently, Larisa resides with her family in Maryland. Larisa was a member of the Editorial Board and a permanent author of the Russian-language literary magazine "Greater Washington". In 2000 she created her own bilingual site and now she is mostly involved in Russian History, Religious and Publicist analytics and works. She is also writing lyrics and poems. The Russian writer has performed many pilgrimages throughout the world, such as holy sites in Greece and Siberia, as well as historic Russian cities on the Golden Ring. These travels have been an essential source of inspiration for her poem about Russian History called “VLADIMIR” (2016). Larisa is a mother of four daughters and she is a grandmother of five grand children. 1. Have you ever seen a rainbow – in the winter? About abrupt climate change in Maryland. February 25th, 2017. 2. The Sun and Star Princess. A page dedicated to my children. December, 2016. 3. President Obama is “not going to fight with Ukraine”. The weird speech in White suit & Black shoes. August 28th, 2014. 4. Sergei BODROV tragedy: The Mystery of the Kazbek Mount that he might never knew. Sept. 2d, 2012. 5. 140 years since the Martyr Empress Alexandra Romanova’s Birthday. June 7, 2012. 6. President Obama does not care about Lazukin’s murder in Oregon, May 22, 2012. 7. Kurt Vonnegut: Bye, Miracle! April 12, 2007. 8. Our Lady of Iveron. 24 years of the greatest miracle of the 20-th Century. November 24, 2002. 11. Report from the Newark Exhibit "Private Life of Nicholas and Alexandra". January 5, 2004. 12. Mankind's Spiritual Clock. May, 2002. 13. Nativity Church in Bethlehem Standoff Memorandum. April, 2002. 14. Save the Holy Land for next Generations! April, 2002. 15. September 11-th Declaration of Committee 2001. 16. The Mysteries of the Turin Shroud. 2000. The home church of the Gumerovs family in Maryland, USA. Larisa Yu. Gumerov, M. D., writer, poet, Editor in Chief of the web site www.luchmir.com,was born in Nizhii Novgorod, Russia, into a family of medical doctors. Besides school in her early life she was very interested in sports, music, and literature and was successful in these fields (e.g. she was a member of the Russian National Fencing Team). Her mother, Maria Mikhailovna, M. D., pediatrician, worked in regional clinics in Nizhnii Novgorod and Perm. She was also a great mezzo-soprano singer and classical music lover. Maria Mikhailovna provided many efforts to teach her three children in respect to all kind of arts. Now she is retired and lives in Perm with Larisa’s elder sister Tatiana. Her father, Yurii Ivanovich Kardakov (1921 - 2005), M. D., Ph. D., Sc. D., was a professor of Medicine, clinical doctor, world-known scientist (endocrinologist), thyоroid deceases specialist. He was also a great enthusiast of Russian and World literature and culture. For many years he held a position of the Head of Department of Hospital Therapy in Perm and Tyumen State Medical Institutes. After she graduated from Perm Medical State Institute in 1978, Larisa completed clinical studies at the same institute and worked as a medical doctor in hospitals and conducted scientific research. In 1986 she became the Head of the Scientific Consulting Department and research scientist of the Institute of Cardiology of the USSR Academy of Medical Sciences (Siberian Branch,Tyumen). Dr. Gumerov earned several specializations in EKG testing and Functional diagnostics of Hearts diseases. She conducted scientific research in immunology, crystallography, clinical medicine, and diagnostic cardiology. 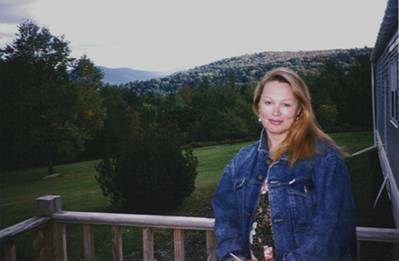 In 1993 due to family circumstances the Gumerov family moved to the United States, where Larisa turned her research efforts to literature studies. She dedicated herself to literature, poetry, and Russian culture. In 2000, she established web site www.luchmir.com. Dr. Gumerov is the founder of the Ethical Committee «LUCH/RAY», which provides analysis of current world events from positions of Christian Ethics. The site also focuses on the events of political, cultural, and religious life in Russia and outside Russia. Special attention is paid to the Royal Martyrs and to the spiritual revival of Russia. 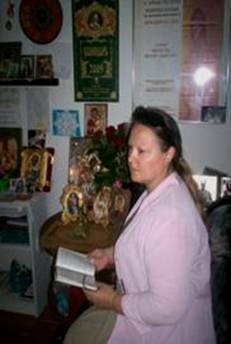 Since 1993 Larisa and her family belonged to the Russian Orthodox Church outside Russia (ROCOR). After the schism she remained to stay on the positions of Russian Orthodoxy Abroad. Her family now has a home church of Sts. Mary Magdalene and Royal Martyrs under the patronage of Valentine, Metropolitan of Suzdal and Vladimir (Russian Orthodox Autonomous Church). Currently Larisa resides with her family in Maryland, USA. Mrs. Gumerov has 4 daughters and 3 grandchildren. Her husband is mathematician, a professor of the University of Maryland, is an internationally recognized scientist for his works in physics, applied mathematics, and computational methods. 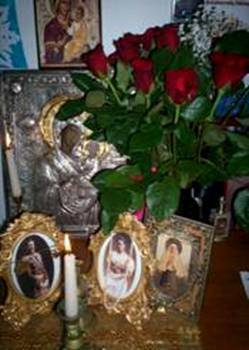 Mrs. Gumerov considers, that the major spiritual events in her life were, first, meeting in Boston, USA, with Myrrh Streaming Wondermaking Mother Mary Icon of Iveron (Montreal) in 1995 – 1996, and, second, appearance of the Queen Victoria of England on the Andros Island (Greece) in 2004.
to evaluate the unique contribution of St. Elizabeth to the spiritual revival of Russia after communist disaster and to the world ethical progress and history of mankind. 2. «Sun in the Mazurka rhythm» (2005). A report from the Exhibit on the life of the Russian Royal Family held in New Ark, NJ, USA, which attracted a great public interest. A letter in a big ROCOR sorrow after «the act of union» with Moscow Patriarchy. 4. «KGB and Palestinian Society» (2007). The paper is dedicated to the contemporary state of the Imperial Orthodox Palestinian Society headed by the Grand Duke Sergey Romanov and after his death by St. Elizabeth. 5. «Who and to Whom Pays to Destroy the Sts. Martha and Mary Convent?» (2008). to save the convent and to protect the main action of her life. 6. «The Most Beautiful Bride of Russia» (2008). Photo gallery dedicated to St. Elizabeth and Gethsemane. 7. «Moliboga Destroyed the Convent of Grand Duchess Elizabeth» (2009). which is a real disaster for Russia, Church, and the entire world. 8. «Five Years since Queen Victoria of England Appearance» (2009). In the paper the authors describes her impressions after her meeting with a great person of the 19th century, which happened on the Andros island in Greece in 2004. An Akafist (Orthodox Hymn) to St. Elizabeth was written after this event, which full text is provided in the paper. 9. «Desecration of relics of the Grand Duchess Elizabeth Feodorvna in Jerusalem» (2009). Open letter to the First Hierarch of the Russian Orthodox Church Abroad, Metropolitan Hilarion and LUCH Appeal for boycott the all Moscow Patriarchy activities. 10. «The false identification of the Royal Martyrs relics» (2004). Alec Knight, professor anthropologist of Stanford University, USA, proved the lie in the identification of the Royal Martyrs relics. 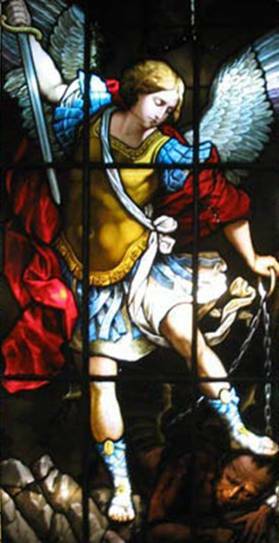 The Church Glass Stained Window.